Our winning blend of HMB, essential amino acids and natural stimulants is guaranteed to give your workout the boost you’ve been waiting for. What are the benefits of TheHMB? HMB, or β-Hydroxy β-Methylbutyrate, is a metabolite of leucine, which is a branched chain amino acid that can’t be produced by your body, so has to come from your diet. 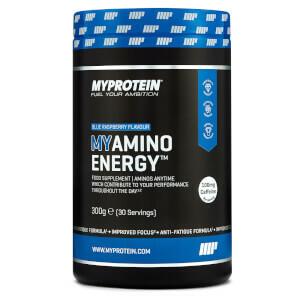 Amino acids are the building blocks of protein, which contributes to the growth and maintenance of muscle mass. 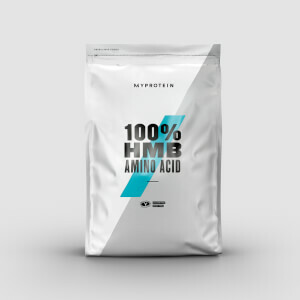 Our powerful blend has added essential amino acids, including L-glutamine – making it an important support for all training goals, whether you’re a cyclist or weight-lifter. Plus, with 143mg of green coffee extract and 210mg of Japonica tree extract it provides a natural pre-workout pump – perfect to kick-start you out of bed and into your trainers, with caffeine increasing focus and endurance capacity. It also contains 200mg of vitamin C which contributes to the normal function of the immune system, nervous system and normal psychological function. When should you take TheHMB? For an energy boost, take this 30-60 minutes before your workout. It’s also great for anyone looking to supplement their diet with HMB from day-to-day. 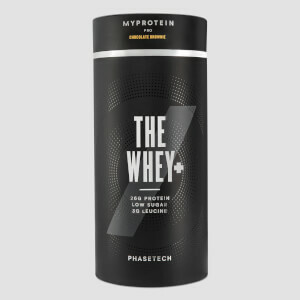 Impact Whey Protein– our best-selling protein blend packed with 21g of protein per serving, 4.5g BCAAs and 3.6g of glutamine, perfect for contributing to the growth and maintenance of muscle mass. Add 300-400ml of water into our shaker. Then add 15g, shake and consume before exercise. Do not exceed the stated recommended daily dose. This product is a food supplement and therefore should not be used as a substitute for a varied diet and a healthy lifestyle. Store in a cool dry place, out of the reach of young children. Must not be consumed by pregnant, lactating women or children, or for prolonged periods without medical supervision. Yuzu flavour: Essential amino acid blend, Hydroxymethylbutyrate (HMB), Acid (Citric acid), Flavouring, L-Glutamine, Japanese pagoda tree (Sophora japonica L.), Modified Starch, Sweetener (Sucralose), Antioxidants (Ascorbic acid, Butylated hydroxyanisole), Green Coffee powder extract (Coffea L., Chlorogenic acid 10%). Cola flavour: Essential amino acid blend, Hydroxymethylbutyrate (HMB), Acid (Citric acid), Flavouring, L-Glutamine, Apple extract, Japanese pagoda tree (Sophora japonica L.), Sweetener (Sucralose), Antioxidants (Ascorbic acid, Butylated hydroxyanisole), Green Coffee powder extract (Coffea L., Chlorogenic acid 10%). Beta-hydroxy beta-methylbutyrate (HMB) Powder. Yuzu flavour with sweetener. Food supplement. Beta-hydroxy beta-methylbutyrate (HMB) Powder. Cola flavour with sweetener. Food supplement.